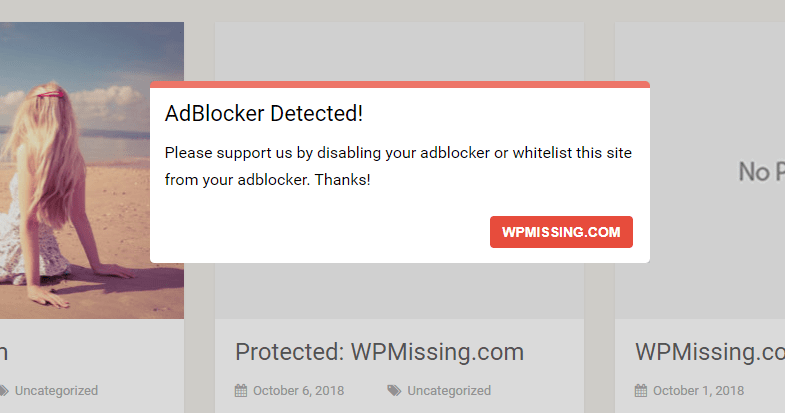 DH Anti AdBlocker is a WordPress plugin for detecting if Adblock (or Adblock Plus) extension is activated in user’s browser and showing a customizable warning popup that asks the user to disable Adblock (or Adblock Plus) continue browsing your website. 1. 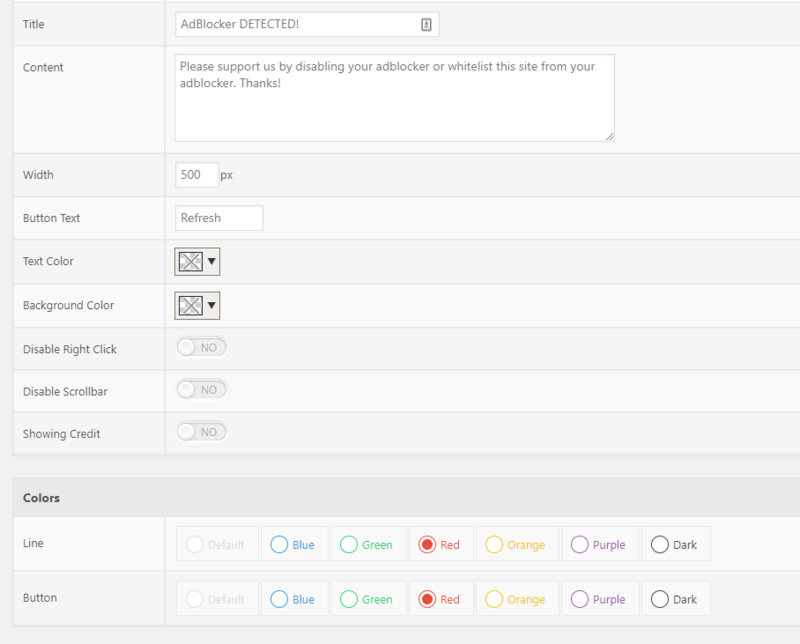 Search for the keyword DH Anti AdBlocker on the Add Plugins page. 3. 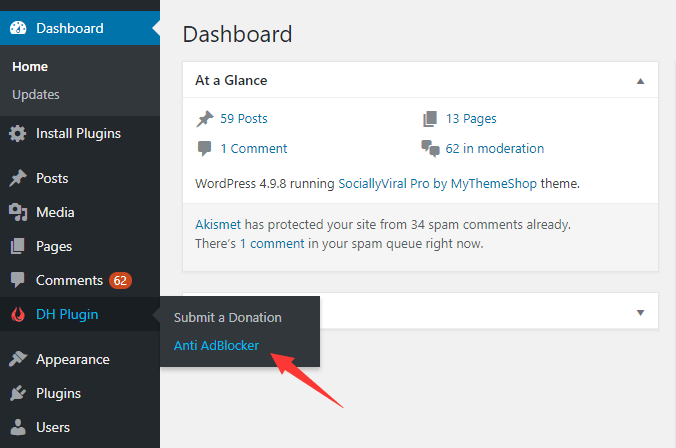 Click the Anti AdBlocker link to config the plugin. 5. 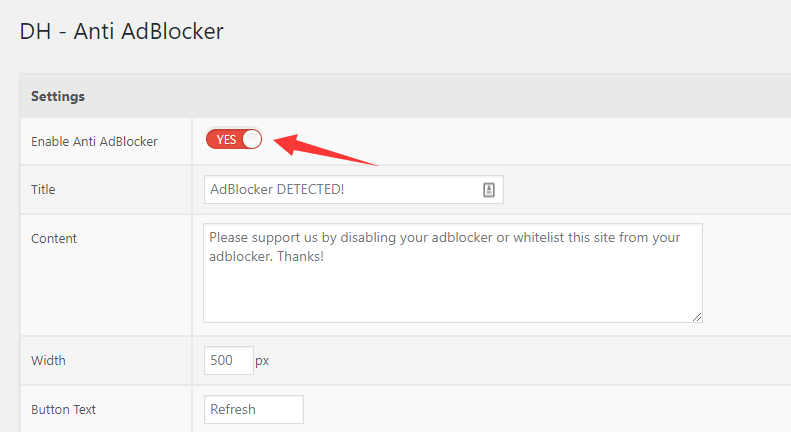 Enable the DH Anti AdBlocker and done.